I believe that Palawan and El Nido is the next big thing, the place people find when they don’t want to end up to touristy Thailand. I feel very privileged to have visited there before the crowds find it. 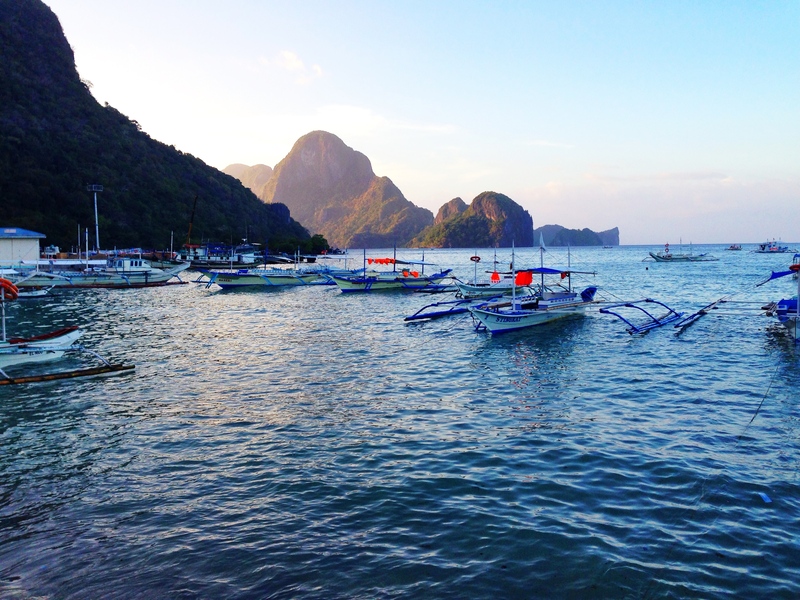 El Nido is a perfect combination of a local village with just right amount of other travelers, few beach bars, restaurants and a beach. 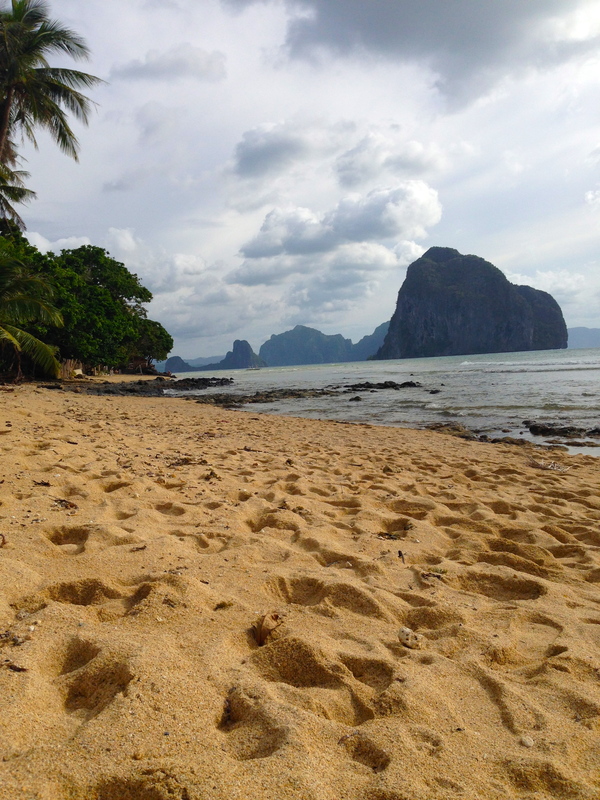 With some twisted way El Nido reminded us of a bit of Europe, a bit of Hamptons, but with just right amount of sense of a local Filipino town. 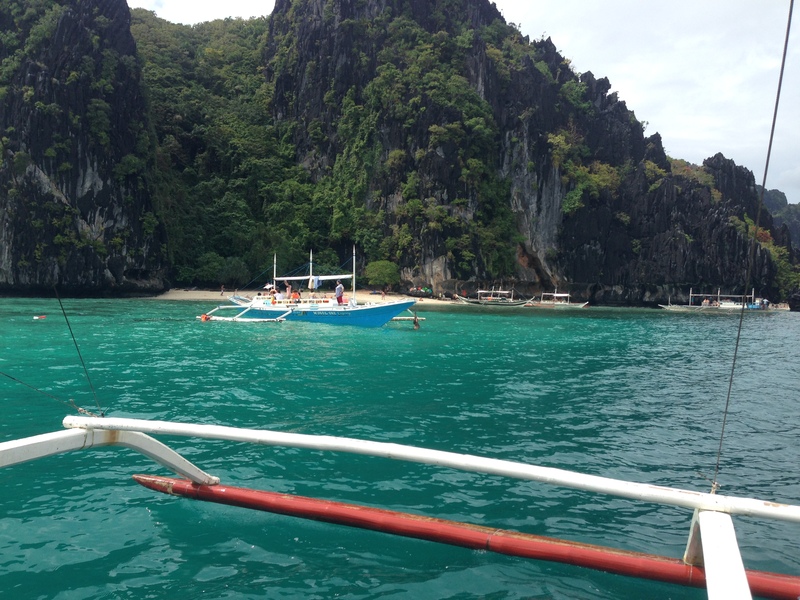 We flew from Manila to Puerto Princeca, and catched a 6-hour jeepney from there to El Nido. You can also come by boat from Coron. 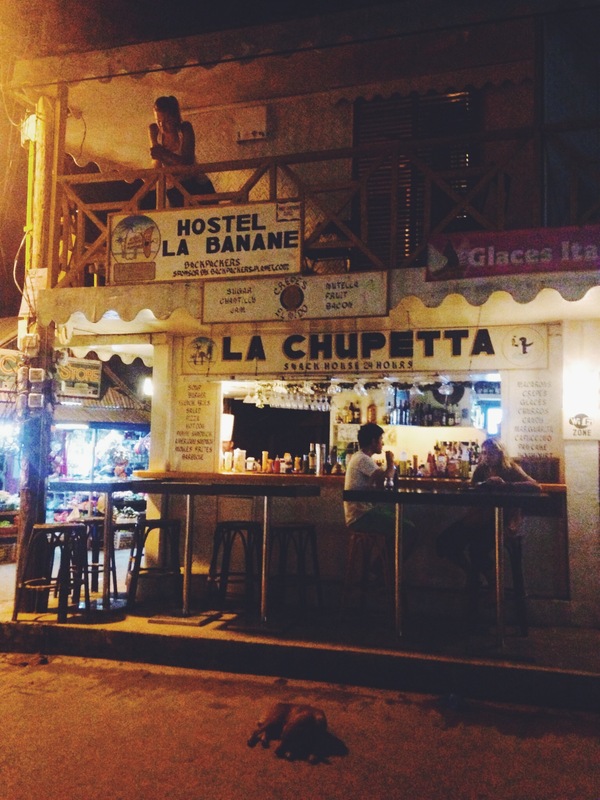 We stayed in a cute hostel Le Banane, right on the main road and had a huge balcony, perfect for people watching, sipping some white wine and occasional reading sessions. 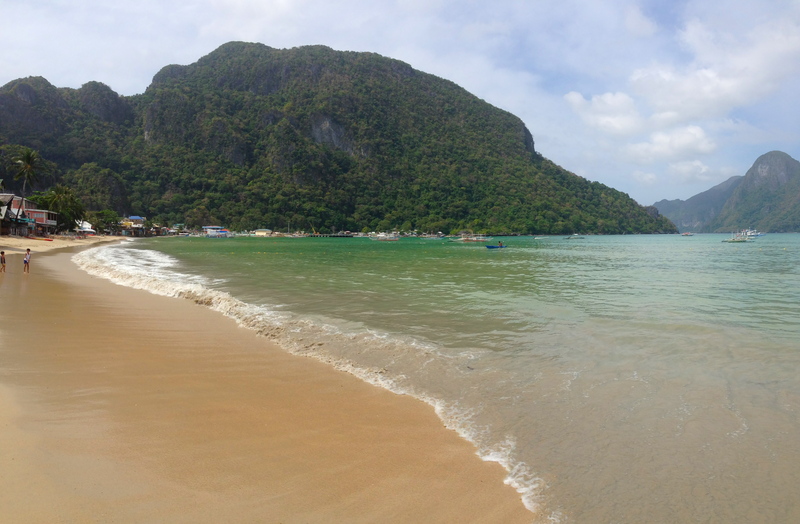 Island hopping in El Nido is a must – we got to swim in lagoons, dive into a cave and stopped to lunch to an beach that felt like being the first one ever to visit there. . 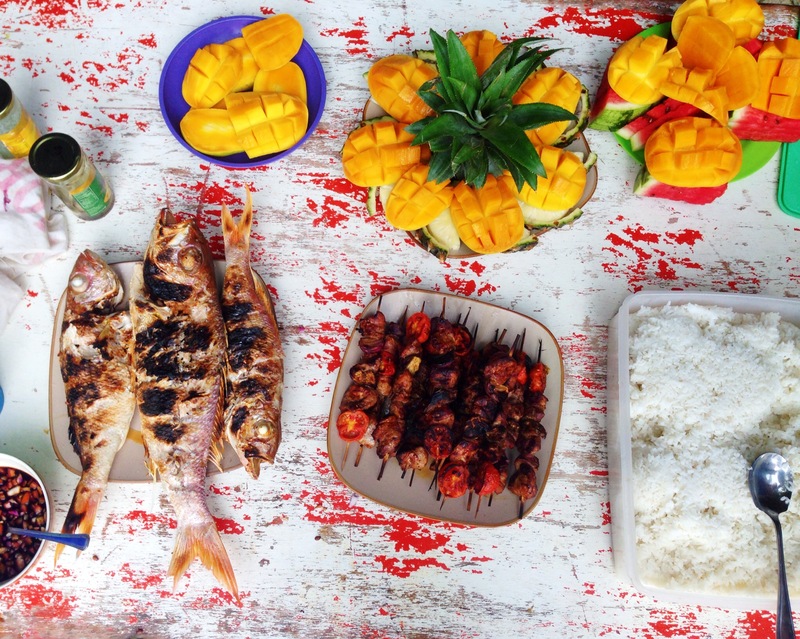 The boat drivers prepared us a super fresh lunch in front of our eyes, which was easily the best we got in Philippines. Tour A is supposedly the best (we took it)! Also, spend (at least) one day at Las Cabanas beach. It is a 15 min taxi ride away from the centre. I do not have enough positive adjectives to describe this place! 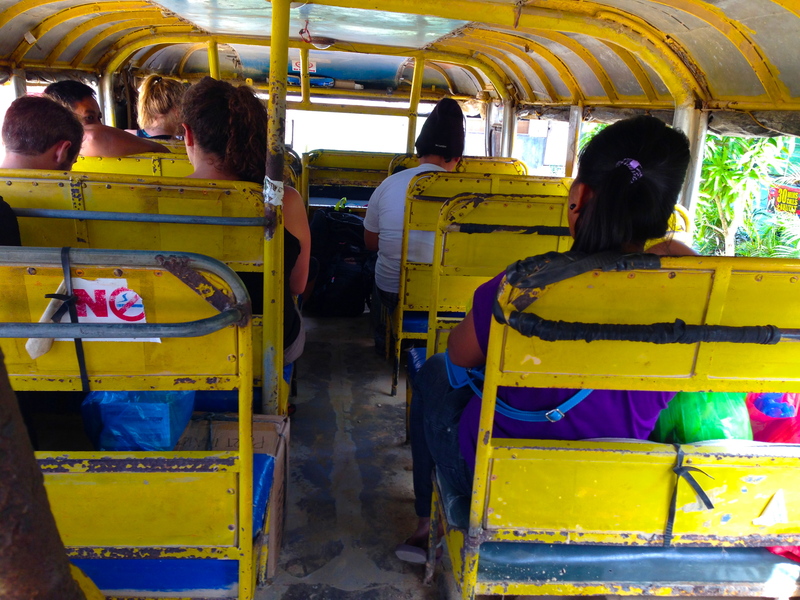 It was the first place where we arrived with our stuff and could leave them there for the time we searched a place to stay. The staff is very nice and willing to help with everything. We also booked all our trips and rides through their services which I highly recommend, very convenient and good prices. They also had the best (almost the only) wifi in town. Besides being convenient, the food and interior is amazing. I love the big space, balcony to enjoy your food outside, and the book corner where you can make discoveries. The food is super fresh and although a bit pricier than in most places, it was mostly worth it. The fresh mango smoothie is delicious. 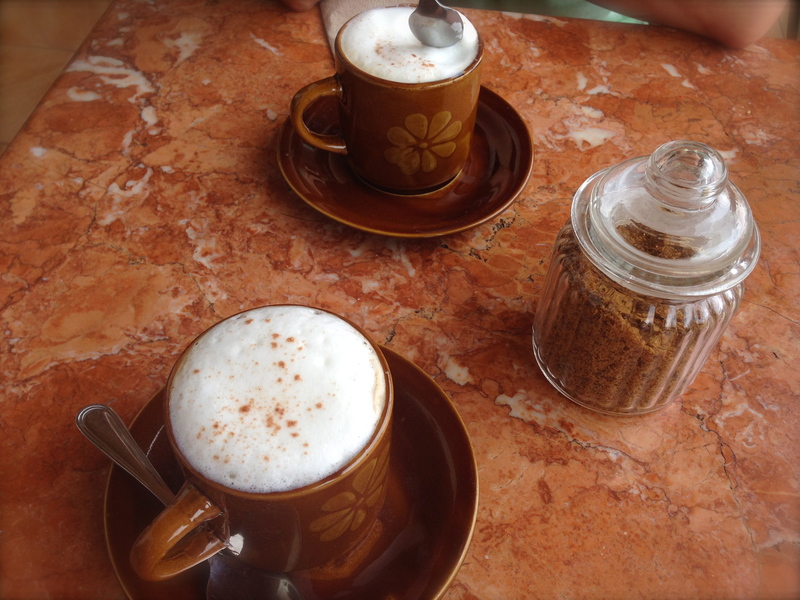 Real cappuccino after months of Asian instant coffee made us SO happy. The fish fillet with mango sauce got the following judgement: one of the best dishes I’ve had since leaving home 8 months ago, and that would cost around 30€ in Finland (vs 4,5€ here). TRY IT! Perfect for dining! 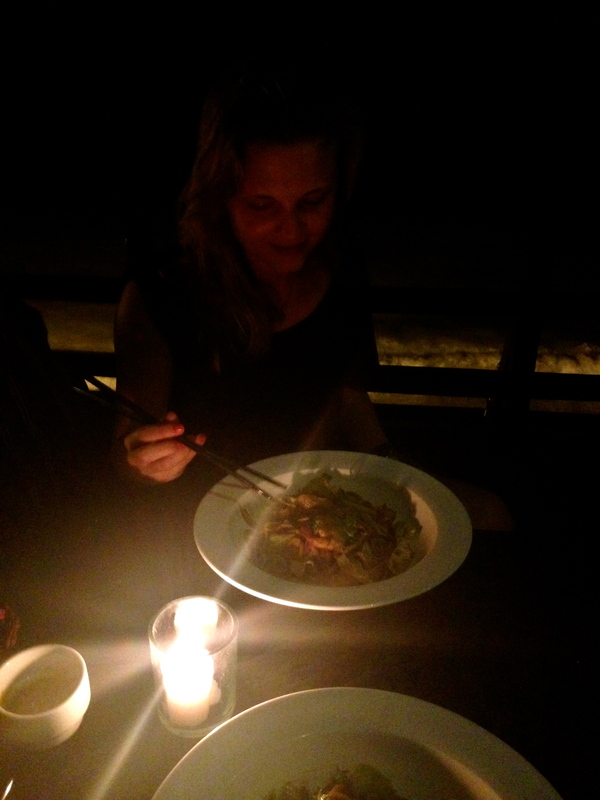 Trendy, Asian fusion cuisine serving restaurant by the beach. Request to sit upstairs, at the terrace and you’ll enjoy your dinner above the waves. 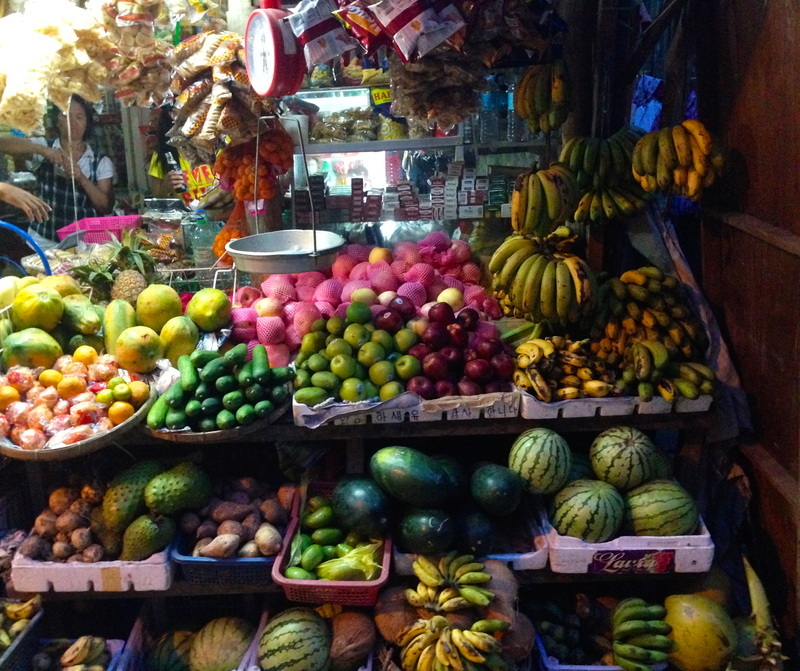 The food is a bit pricier than in most places but the atmosphere makes it worth the extra. Food and service is good but not mind-blowing. We had the signature noodle dishes which were really good, but a bit too heavy (A LOT of noodles, quite greasy). Try the rice in pineapple! Our favourite all-purpose restaurant 😀 The portion are delicious, HUGE and cheap. First time we went, we ordered a lot of dishes as we thought they must be small due to cheap prices. Wrong – for the first time, we could not finish everything. Best location, in the middle of main street and by the beach. This was the first place we ended up having found a place to stay (and survived 3 day trip from Koh Tao) and decided it was time to raise a toast. 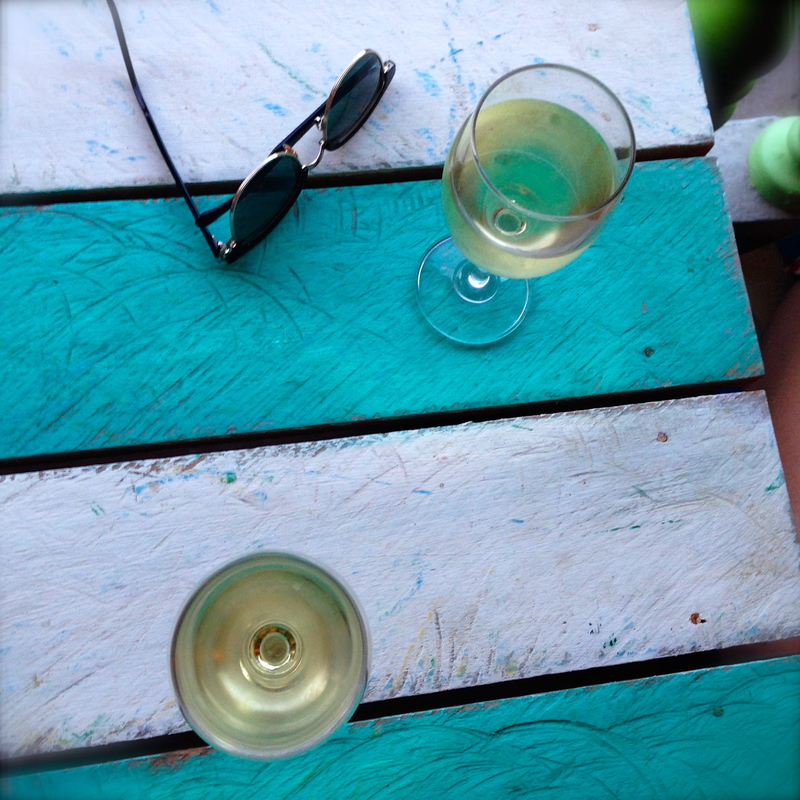 White wine has never tasted better, which is why I have warm (or cool should I say;) memories. 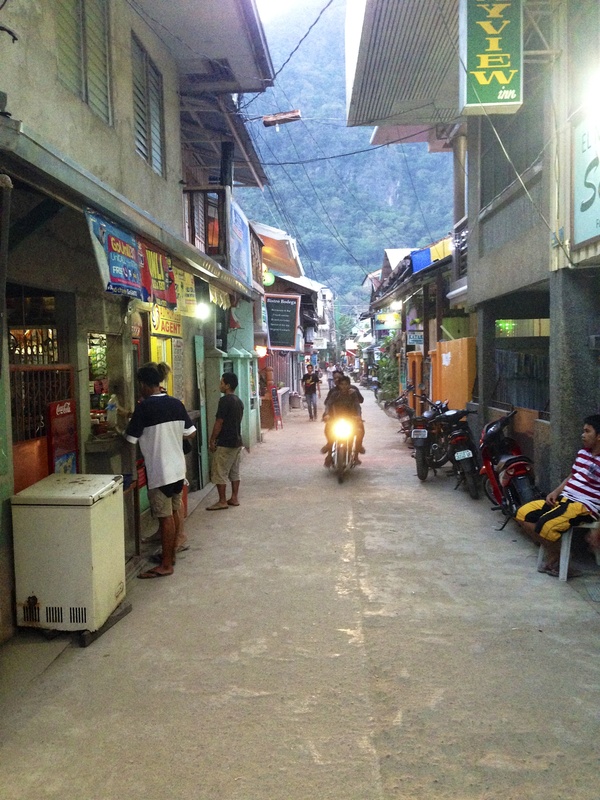 We chatted with the owner, who had decided to leave France and set up a restaurant in El Nido. Not a bad plan, if you ask me. The interior is lovely with colourful details. They serve brunch as well which sadly we missed!